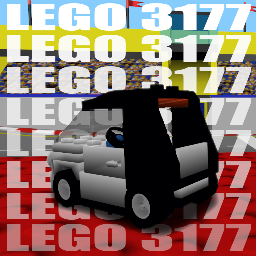 The new LEGO 3177, the first lego car on RVZ and I/O is here! Actually it's a basic car, params are of course by Kipy. It's not running the best because of it's size and shape, but it's 'just' a test car for me.